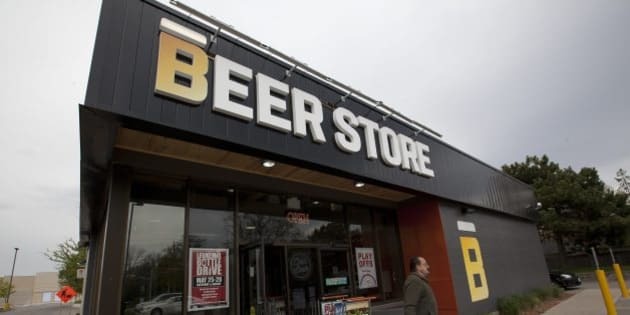 TORONTO - A national restaurant group is asking the Competition Bureau to launch an official investigation into a non-compete deal between the Liquor Control Board of Ontario and the Beer Store. Restaurants Canada is also calling on the government to immediately cancel the non-compete agreement after the confidential deal was uncovered in a Toronto Star report on Tuesday. The Star report focused on a 10-page document it said was authenticated by an LCBO source, which detailed an arrangement to restrict growth in the LCBO’s beer sales to protect the sales of the Beer Store. The restaurants group says in its complaint to the federal competition bureau that the deal, which had been kept under wraps, restricts competition and inflates the price of beer in restaurants, bars and pubs. Restaurants Canada's Ontario vice-president James Rilett says a neutral party is needed to look into what he calls a "sweetheart deal" between the government-owned LCBO and the Beer Store, which is owned by three major brewers. The restaurant group, formerly the Canadian Restaurant and Foodservices Association, says in the past the Competition Bureau has not been willing to wade into the issue, but the group believes the deal signed in June 2000 must be investigated now that it has been made public. "We have known of the existence of an agreement for years, but we did not know the depth of the complicity," said Rilett. "This agreement fixes prices, territories and products." "The agreement can be terminated at any point, simply by giving six months' notice. If the government were to cancel it today, Ontario consumers would be able to have better service and cheaper prices by the summer." Restaurants Canada is made up of 30,000 foodservice businesses, including restaurants, bars, caterers, institutions and suppliers.